Many dogs of my acquaintance love to swim. They seem to understand the pure joy of being in the water. Unlike humans, dogs, and most mammals it seems, don’t need to learn to swim. They can just do it, in fact most dogs are better swimmers than humans. Their heads are above water, their fur keeps them warm, many have waterproof undercoats, they have a low centre of gravity, their lungs have a higher capacity than most human’s and some breeds even have webbed feet. The beautiful, kind and radiant, Riff Raff, who sadly died yesterday was an exuberant and enthusiastic swimmer. Watching her leaping into the water reminded you what joyfulness, hope and optimism was. 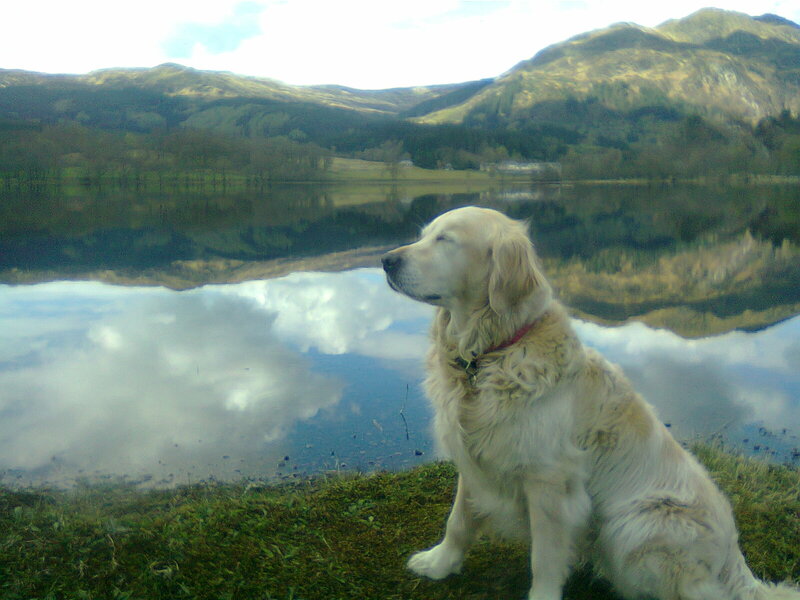 I mostly saw her swimming in the Thames but here she is on one of her Scottish holidays, deep in canine meditation, immediately pre-dip. This entry was posted in mindfulness and tagged joy, mindfulness, swimming dogs. Bookmark the permalink.